The heating and cooling experts at Penguin Cooling & Heating take pride in offering the best service for HVAC in Fort Mill, SC. At Penguin Cooling & Heating, our team of licensed HVAC technicians are available around the clock to do complete duct sealing and cleaning, AC repairs, installations, and replacements—all backed by a Satisfaction Guarantee. For REPAIR, CALL THE EXPERT HVAC IN FORT MILLS, SC! We understand how challenging it can be to find reliable HVAC repair in Fort Mill, SC. That’s why we entered the market with the intention of becoming the area’s most trusted source for HVAC repair and maintenance, as well as emergency on-the-spot AC and heating services. Plus, we offer rates that our competitors can’t match anywhere in Fort Mill or the surrounding area. At Penguin Cooling & Heating, our team specializes in a host of indoor air quality (IAQ) related services. From Aeroseal duct sealing to total duct replacement or AC filter replacements, there is no job too big or small for the expert technicians at Penguin Cooling & Heating. Even if you need a routine checkup on your HVAC system, we would be happy to assess your unit for defects or inefficiencies. Although we serve a wide variety of calls, here are the three most in-demand services we offer our customers in the greater Charlotte area. Unless you have years of training under your belt, installing an HVAC system is no easy task. Fortunately, our team of veteran HVAC professionals can help you take control of your building’s climate by installing and testing your new ducts, heater, compressor, filter, and air conditioning units. You will be glad to note that we offer lightning-fast same-day service, so you can kick back with your feet up while we take care of the heavy lifting. Plus, we won’t walk off your lot until you are 100% satisfied with the finished product. Unfortunately, HVAC repair is often put off until it’s too late and catastrophe damage starts to ensue. To keep this from happening, we advise acting as soon as possible by scheduling an HVAC diagnostic assessment whenever concerns are first brought to your attention. 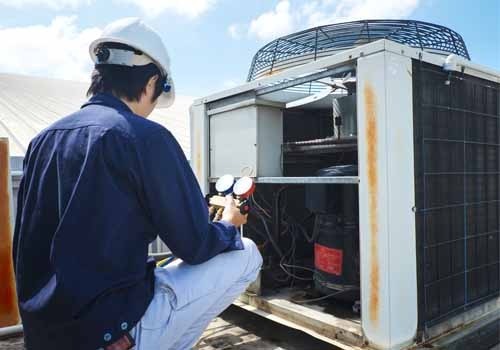 Our staff at Penguin Cooling & Heating are specially trained to detect HVAC system issues early on and can make fast and affordable repairs to prevent system-wide damage before it sets in. We have got you covered when it comes to replacing your HVAC system. When we get your service call, we will dispatch a qualified, background-checked, and insured technician to your door. 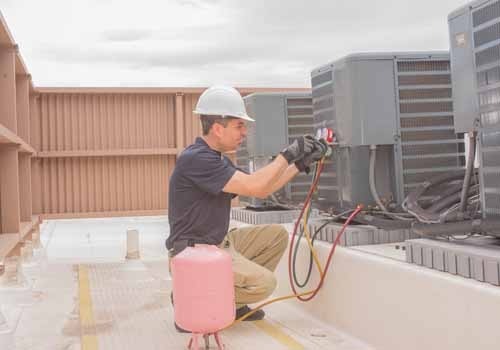 From there, our HVAC expert will disassemble and safely disposes of your existing unit, install a new unit of your choosing, and run efficiency checks upon completion. 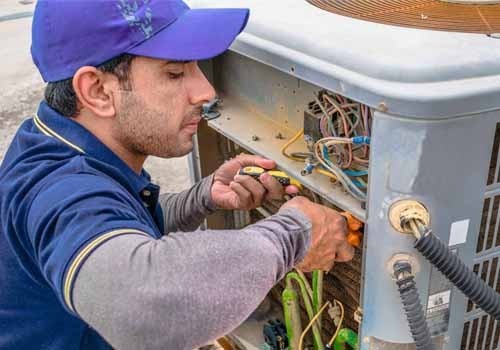 For the finest HVAC repair service in Fort Mill, do not hesitate to call the most trusted team for air conditioning, heating, and ductwork services in the Charlotte area. Our experts charge the most affordable rates in the area and are among the only to receive full EPA certification, licensing and comprehensive coverage in the event of an accident. If you are unsure whether you should invest in quality HVAC repair or replacement services, check out these reasons to act. Here are the top reasons why we suggest never putting off your HVAC checkups, repairs, or maintenance checks. Nothing beats the feeling of making a good investment in your future. That’s why our team of HVAC repair and installation experts offer rock bottom flat rates and affordable fees for all scheduled and emergency HVAC repair and maintenance services. For a free quote, contact our office today and treat yourself to a safer and more energy efficient home.